Jay Klages is a former military intelligence officer and West Point graduate who lives in the Phoenix area. He attended the MBA program at Arizona State University, where he successfully deprogrammed himself for service in corporate America. He enjoys desert trail running and is particularly good at falling down. MEASURE OF DANGER is his debut novel. 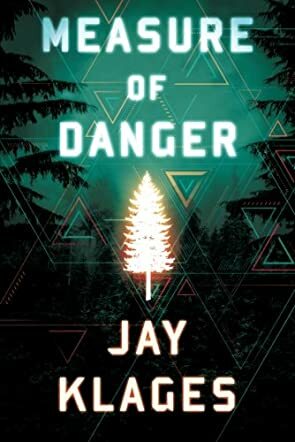 Measure of Danger: A Kade Sims Novel by Jay Klages is a thriller revolving around a young former intelligence officer, Kade Sims. Kade Sims finds himself removed from his job because of a behavior termed hypomania. Sitting at home he is bored, but at that time the FBI approaches him and asks him to go as an undercover agent to find out about The Chapter, a mysterious quasi-militia group. Kade finds himself on a different road altogether. What looked like an easy task is not as easy as he thought it would be. When his Jeep meets with an accident, he finds himself waking up in The Chapter's compound, strapped to a bed. His hypomania works to his advantage here because it helps him to resist the mind control methods of the brutal soldiers of The Chapter. He finds a way to connect with the FBI, his family and roommate. Will Kade be able to survive this assignment with mind and body intact or will there be no escaping from this network of The Chapter? The plot will keep readers riveted with lots of twists, turns, action and thrills. The portrayal of Kade Sims is done well; he is just like any other guy and not the typical slick super hero. The sub plots have been woven into the main plot fluidly. It is a great book for those who are interested in reading action based stories. The plot comes up with a lot of surprises and spins that will enthrall readers. Thank you for the thoughtful review!